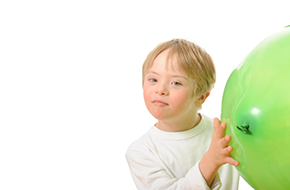 The speech therapy programs we offer at Enrichment Therapy and Learning Center, PC help kids communicate. Enriching Lives Today For A Brighter Tomorrow! Speech therapy remains one of the most important enrichment options available for many parents of special needs children, and for good reason. Call Now For Free Screening & Consultation! At Enrichment Therapy and Learning Center, PC, we offer our clients access to numerous therapeutic programs designed to help their children maximize their potential and overcome obstacles to their development. These obstacles can take a wide variety of forms, such as articulation disorders, apraxia, stuttering, autism spectrum disorder, down syndrome, speech delays due to hearing loss, and more. We provide programs that help your children make the most of themselves by addressing these obstacles with the very latest therapeutic methods. Our programs have very successful track records and help prepare children with special needs for all of life’s challenges. At Enrichment Therapy and Learning Center, PC, we are “enriching lives today for a brighter tomorrow” in Coralville, IA, and have been for years. 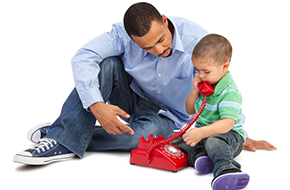 Our clients often come to us hoping that we can improve the fluency of their children’s use of language, use positive reinforcement to increase their self-confidence, and produce real, visible results in their motor skills and ability to express themselves. We are proud to declare that this is exactly what we do. We have years of experience and a very successful track record of providing these results for our clients. Whether your child has been diagnosed with a genetic disorder or just needs a regular enrichment session to keep up, we provide tailor-made solutions that take your child’s needs into consideration and craft a complete response to their needs. Contact us for a free screening and consultation; discover how we can help your child develop fully and make the most of him or herself.